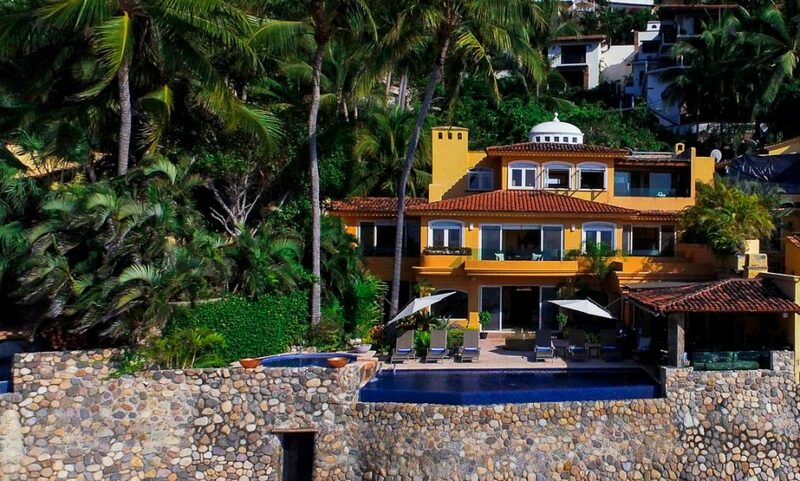 Casa Caleta is a private, beachfront villa located in a secured, private enclave together with 2 other fully detached private homes. 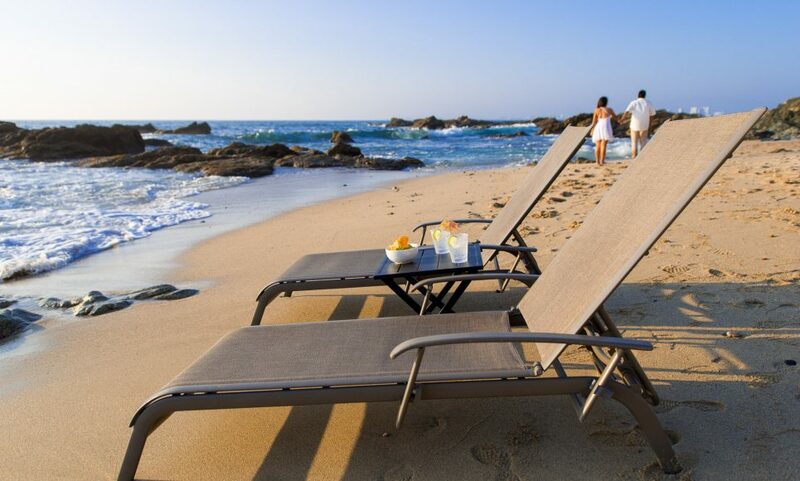 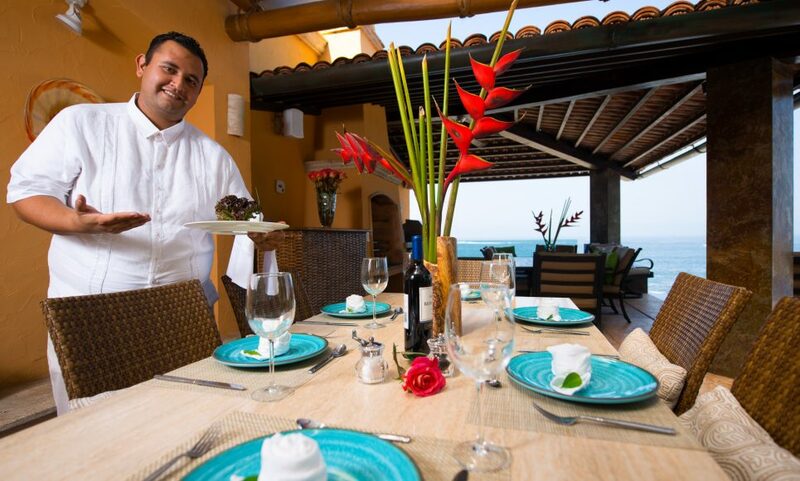 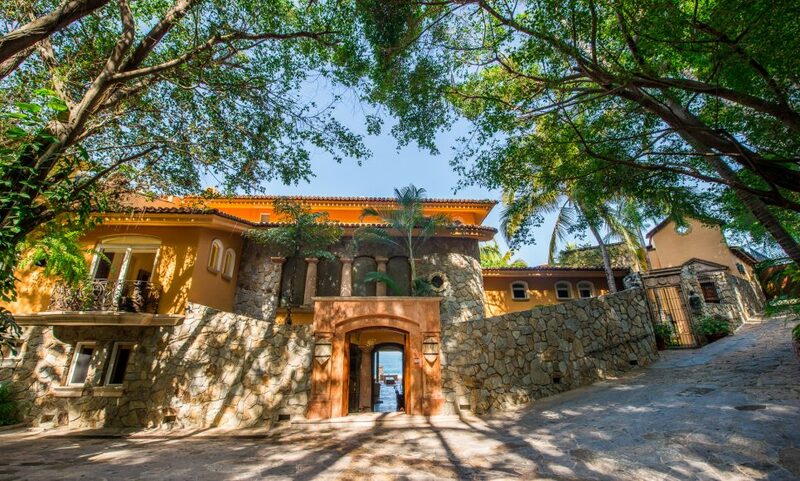 Set in the classically charming neighborhood of Lower Conchas Chinas, Casa Caleta is about a half-mile hike along the beach to the Los Muertos Beach and the Romantic Zone area. 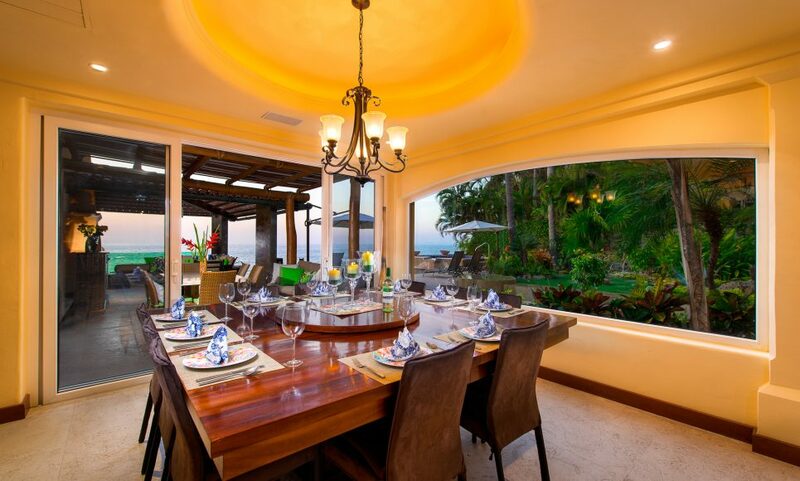 Attention to detail is the hallmark of this villa, with its gourmet chef's indoor and outdoor kitchens, solid slab marble flooring, central air conditioning, high-speed wireless internet, purified water system, plush pillowtop mattresses, top-of-the-line linens and bath accessories, indoor/outdoor sound system, and much more. 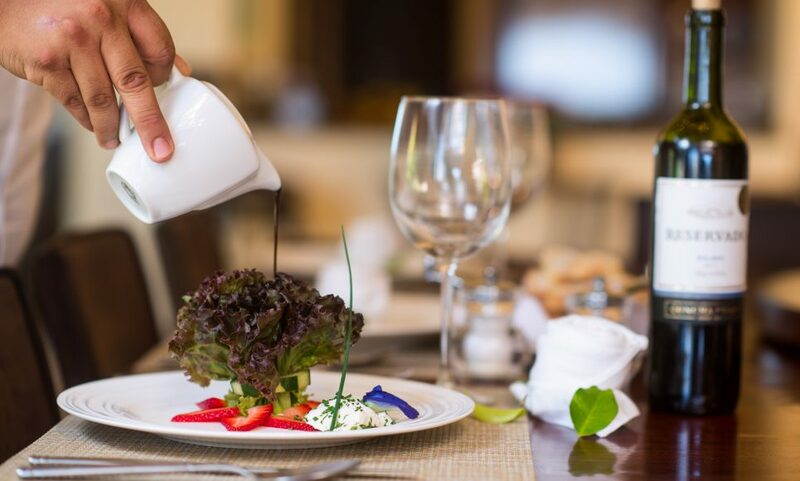 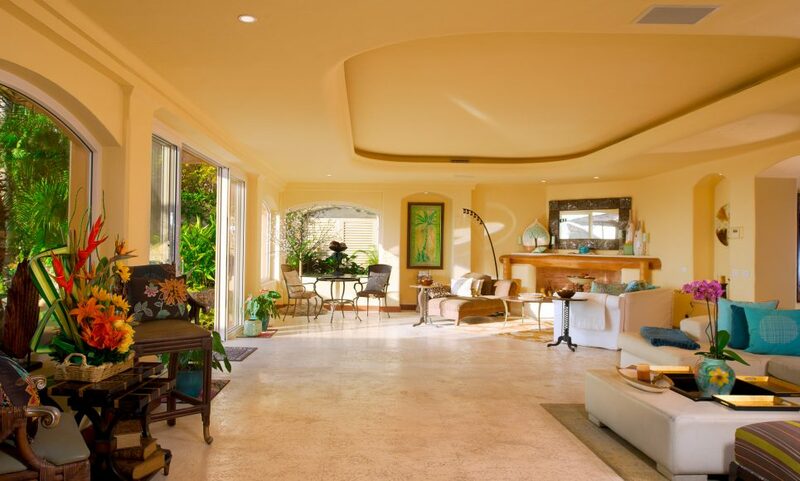 As you enter off the quaint cobble-stoned street through the solid wood and iron remote-controlled entry gates to the private parking court, you find yourself surrounded by a beautifully landscaped garden area with the tropical foliage high overhead. 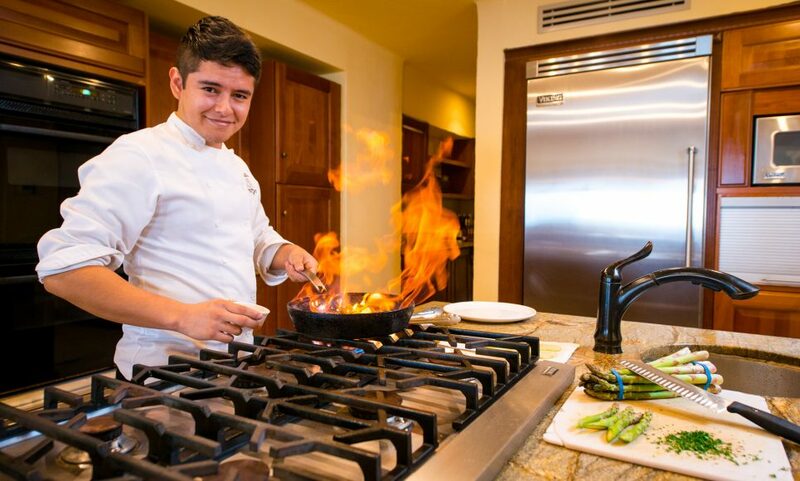 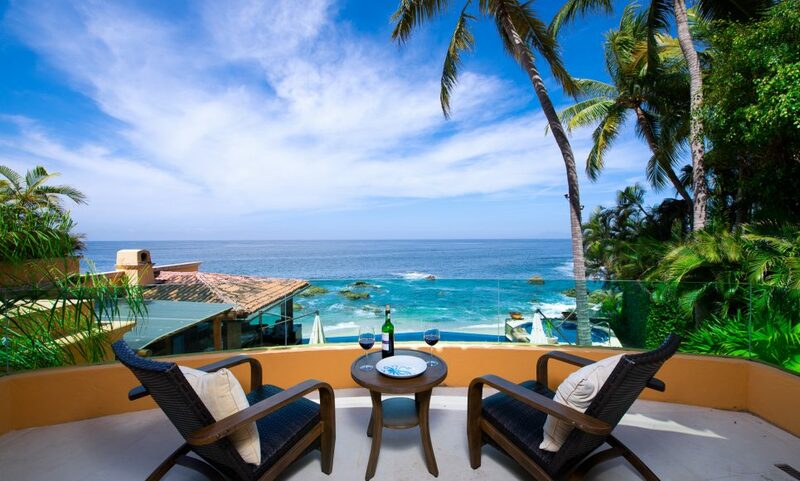 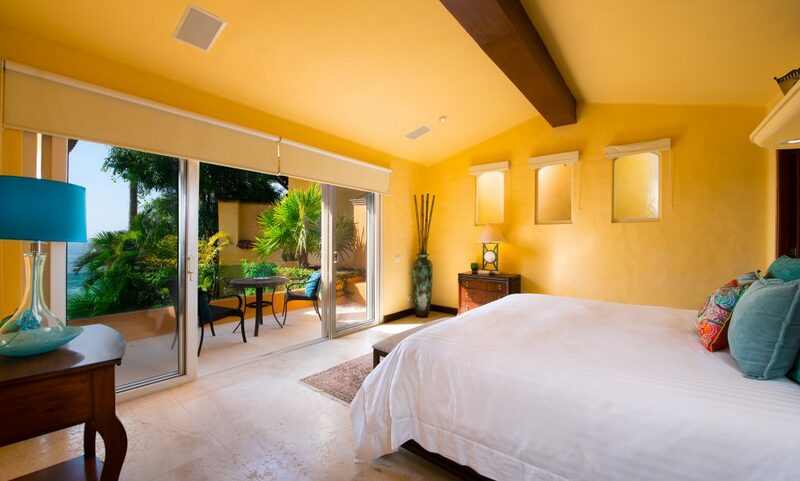 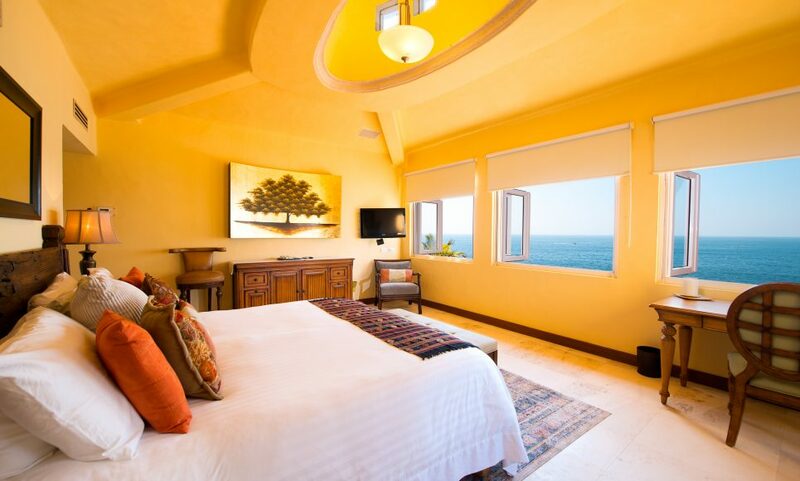 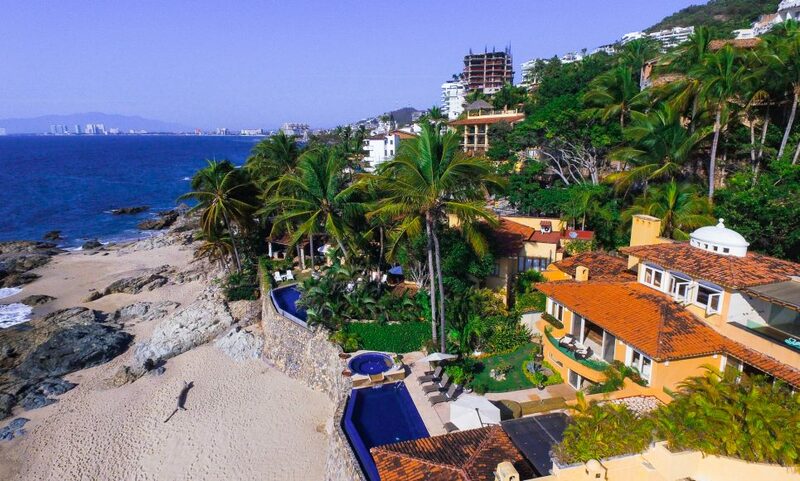 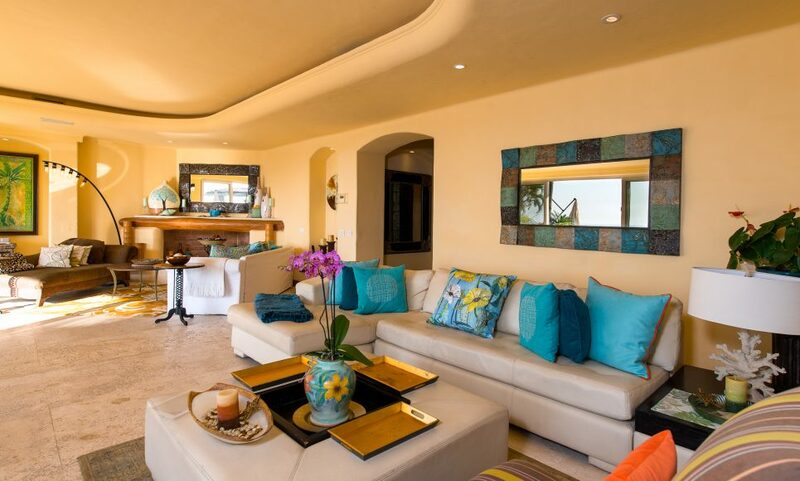 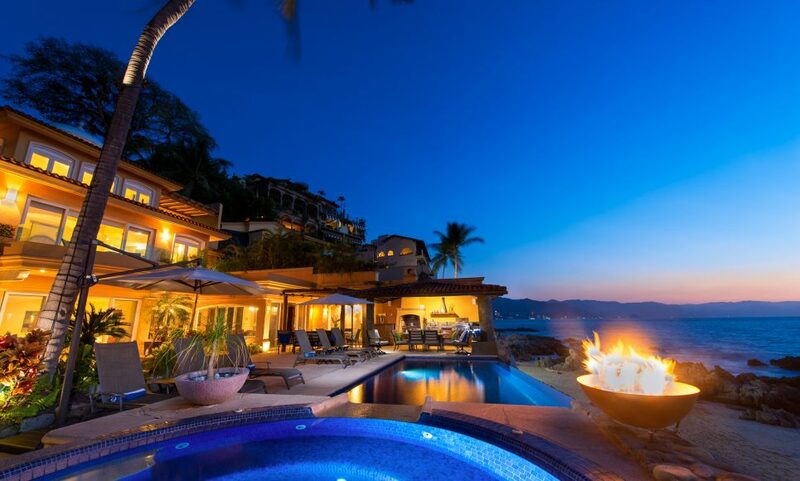 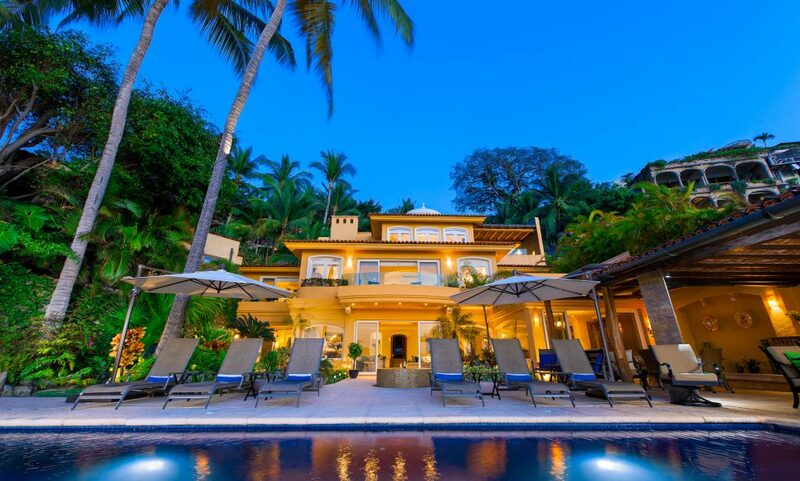 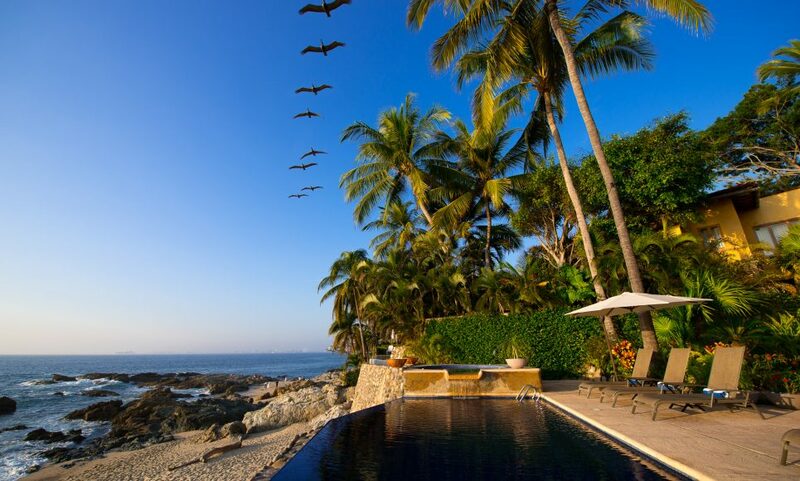 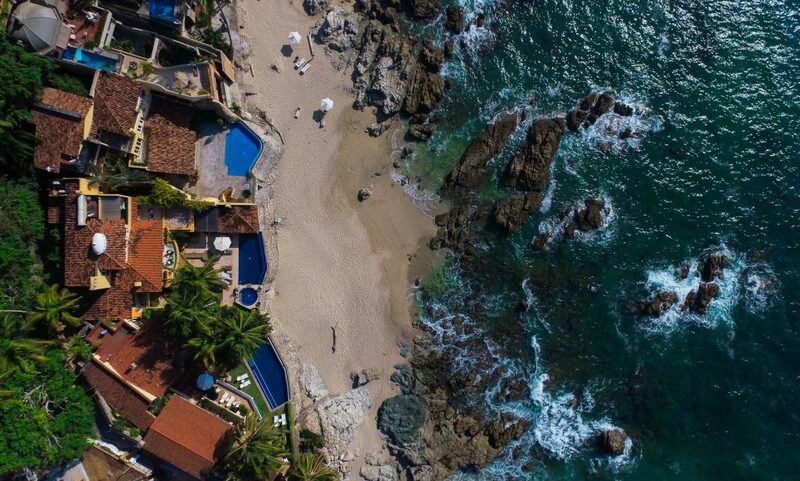 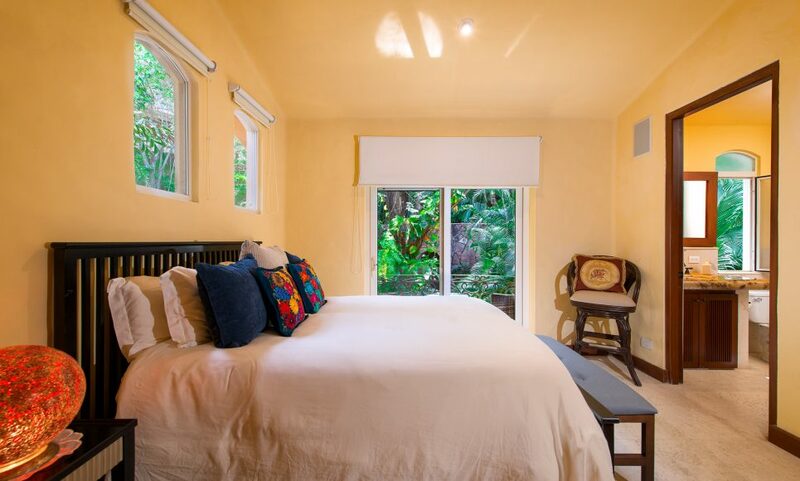 Entering this beautiful Puerto Vallarta Villa Rental, Casa Caleta, through its 4-inch-thick wooden double doors, you will find yourself in the intimate entry courtyard that provides access to the residence through a paned, beveled glass entry. 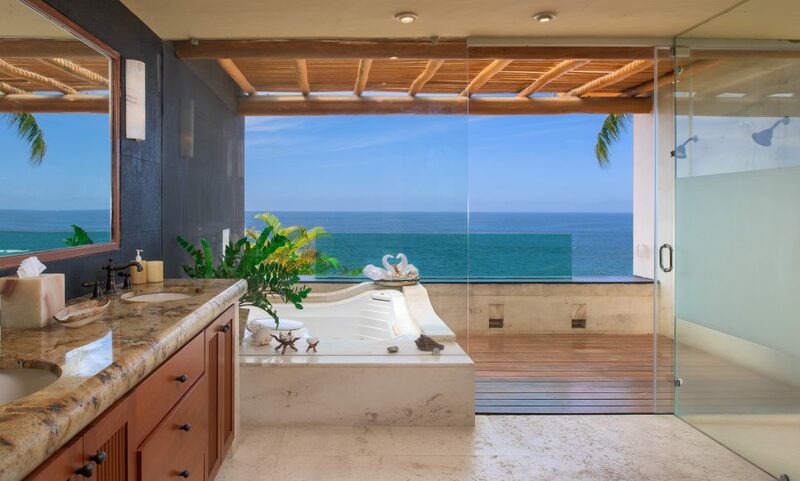 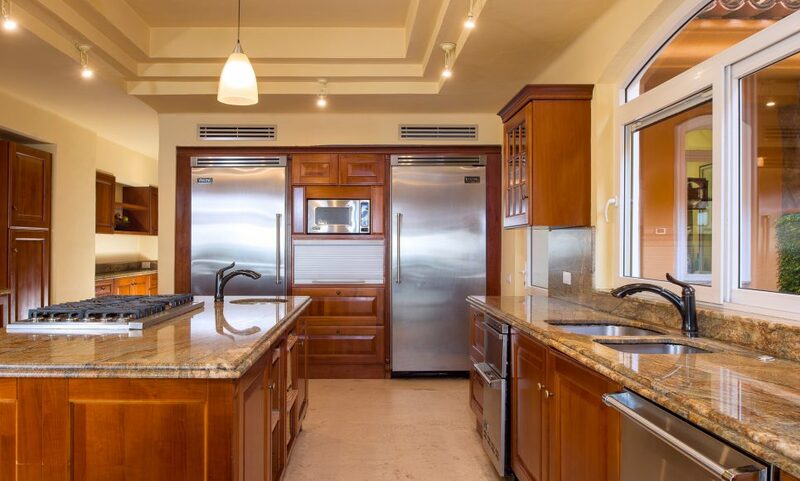 Inside, the phenomenal ocean views can be appreciated throughout. 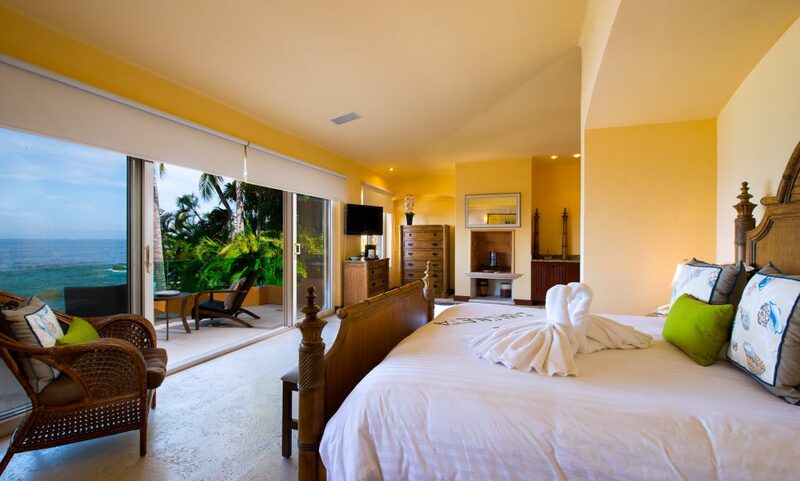 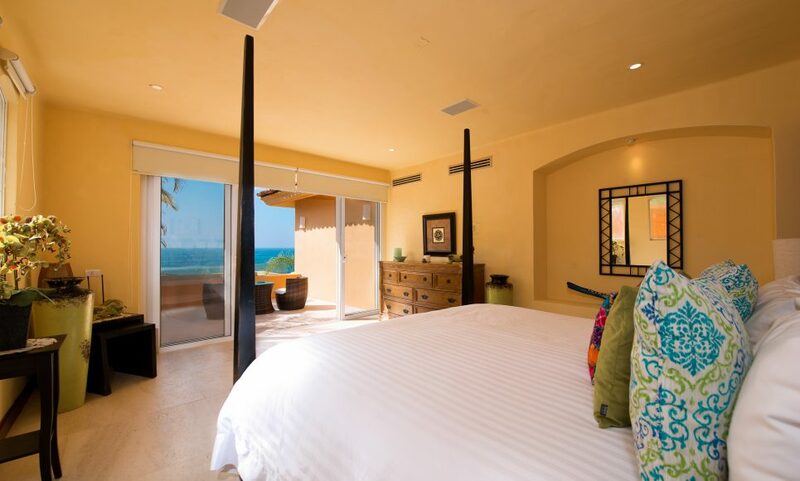 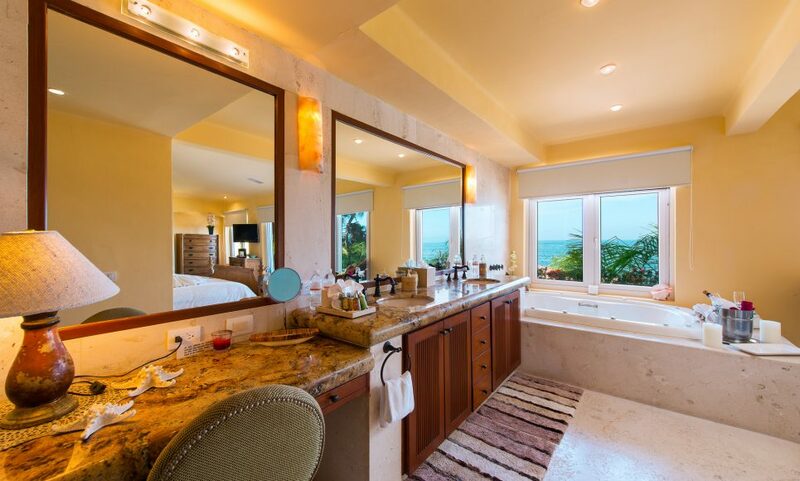 With its all-suite bedroom configurations, beautiful furnishings and full electronics - including a separate media room - the villa's highly trained staff will pamper you for a holiday you won't soon forget.